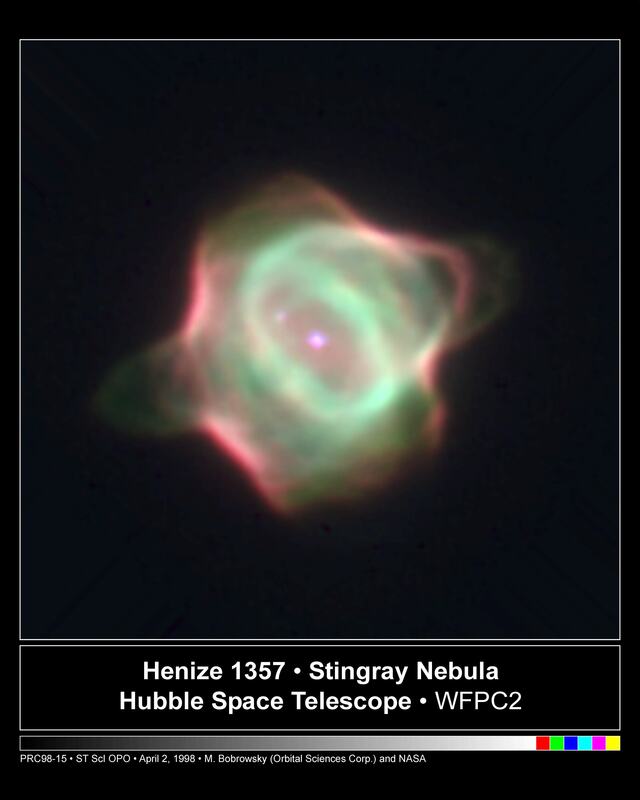 Explanation: This Hubble Space Telescope snapshot shows Hen-1357, the youngest known planetary nebula. Graceful, gentle curves and symmetry suggest its popular name - The Stingray Nebula. Observations in the 1970s detected no nebular material, but this image from March 1996 clearly shows the Stingray's emerging bubbles and rings of shocked and ionized gas. The gas is energized by the hot central star as it nears the end of its life, evolving toward a final white dwarf phase. 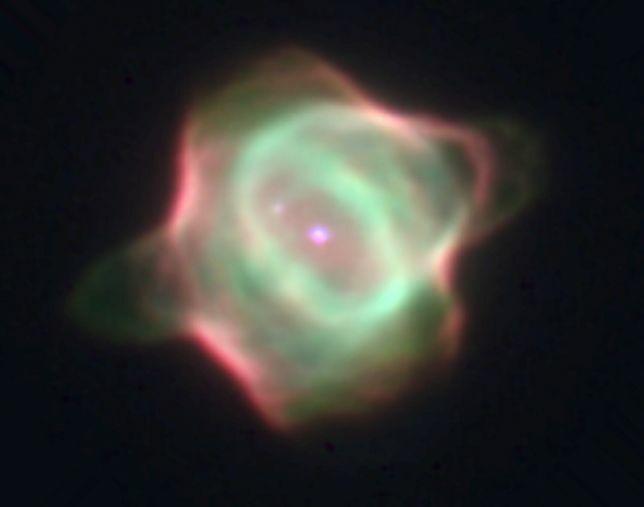 The image also shows a companion star (at about 10 o'clock) within the nebula. Astronomers suspect that such companions account for the complex shapes and rings of this and many other planetary nebulae. This cosmic infant is about 130 times the size of our own solar system and growing. It is 18,000 light-years distant, in the southern constellation Ara.